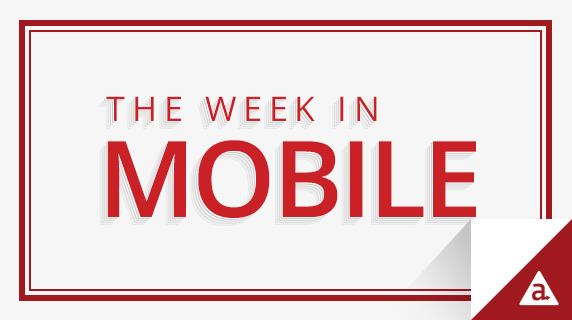 Google Play apps may come to Chrome OS, Apple & Facebook earnings results, Cracker Jack goes mobile and more. It had to happen eventually. For the first time in 13 years, Apple reported a drop in revenue, bringing in $50.6 billion, down from $58 billion compared to Q2 2015. A big contributor – Apple saw a drop in iPhone sales for the first time in history. The company sold 51.2 million iPhones this quarter. That’s a 16 percent drop from last years’ Q2 sales of 61 million. Given increasing market saturation, this drop shouldn’t come as a surprise. Even the world’s largest smartphone market, China, is reaching capacity with overall device sales dropping and total Apple sales down 26 percent. That said, Apple reports the iPhone SE is in high demand, outpacing production. Apple is working to keep up with orders. However, there is a wait time of up to three weeks for almost all versions of the device. In other earnings news, Facebook beat Q1 estimates, growing its network to 1.65 billion monthly users and bringing in $5.38 billion in revenue. The company’s mobile-only user base increased by 8.62 percent since last quarter, now totaling 894 million users. What’s more, 1.51 billion users access Facebook on a monthly basis from a mobile device – a whooping 91 percent of users. The company also reported that, on average, users are spending more than 50 minutes a day using Facebook, Instagram and Messenger — a statistic that highlights the success of Facebook’s multi-channel approach. Apple Watch 2: Freed from the iPhone? According to a new report from the Wall Street Journal, Apple plans to incorporate cell-network compatibility and a faster processing system into the Apple Watch 2. With these updates in the works, all signs point to a tether-free version of the Watch, which would be able to make and receive calls, receive notifications and get app updates without relying on an iPhone or Wi-Fi network. Such capabilities would put the Apple Watch 2 on par with the Samsung Gear S2 and LG Watch Urbane 2nd Edition. Meanwhile, Nokia is jumping into the Internet of Things and digital fitness with the acquisition of Withings, a wearable device company focusing on health and fitness. There are rumblings that Google Play and its wealth of apps are coming to Chrome OS. These rumors stem from source code within the Chrome operating system. Some users have discovered a new opt-in for “Android apps” file and others have even had an “enable Android apps” textbox flash across their screen. While some Android apps already operate on Chrome OS, the vast majority do not. Bringing such a large ecosystem of apps to Google’s desktop could be a major selling point for the OS. Last week, YouTube rolled out updates to its iOS and Android app, promising a more intuitive home screen experience. Thanks to new deep neural network technology, YouTube will recommend videos based on viewing history. The machine learning technology will also automatically adjust recommendations as viewing patterns change, which means users won’t be inundated with suggestions based on old preferences. Now, the app will make fewer video recommendations, but the hope is that those it does make will be tailored to each user. Following widespread success of Nintendo’s first smartphone game, “Miitomo”, the company announced that “Animal Crossing” and “Fire Emblem” will be coming to mobile this fall. Given the popularity of both games and the nature of gameplay — “Animal Crossing” is freeform adventure and “Fire Emblem” centers around short battles — it’s likely that the two titles will draw even more downloads than “Miitomo”. But Nintendo isn’t stopping there. The company plans to release four additional smartphone games by March 2017. You won’t find a plastic toy at the bottom of your next box of Cracker Jacks. PepsiCo’s Frito-Lay is replacing the classic Cracker Jack toy with “a mobile digital experience.” The new initiative is kicking off with baseball themed games, which can be accessed by scanning the sticker in your box with your smartphone camera. Once you’ve downloaded the Blippar Augmented Reality App, you’ll be rewarded with one of four mobile experiences — a “dance cam” game that mimics the jumbotron, a “dot race” around the diamond and more. Next articleWhat Defines a Native App? Google Play Apps coming to Chrome OS. Because Chrome OS is also one of the product of the Google and Google will always promote their products on different platforms.